We're pretty good to you lot. Not only do we review the latest in gizmos, gadgets and toys, but we also give them away too. 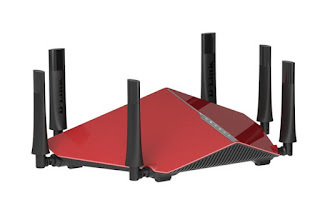 We recently reviewed the awesome (and crazy looking) D-Link AC3200 Ultra WIFi Router, and found it to be an excellent WiFi router for the home. Our only complaint was the price... something you don't have to worry about if you win this great new competition. 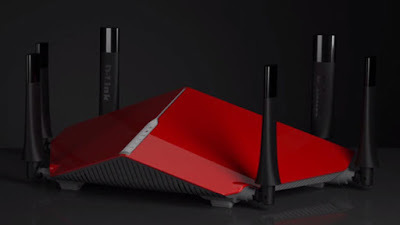 In a nutshell, the D-Link AC3200 Ultra WiFi Router is a high-end WiFi router and home media hub that we reviewed right here. Do check out the review to discover what this bit of tech can do, and also take a note of the price. Yes, the D-Link AC3200 Ultra WiFi Router is worth £250 and you have a chance to scoop one for yourself, completely free. To enter simply get on Twitter and follow us (@thetestpit), and then retweet any tweet we've posted about the D-Link AC3200 Ultra WiFi Router competition before 6pm on 19th August 2015. The competition will close at 6pm on 19th August 2015 and the winners will be notified soon after. UK entrants only please. To win the entrant must be following The Test Pit at the time of the draw. The judges' decision is final. For T&Cs please send us an email.